The Automotive Service Association praised AudaExplore Jan. 9 for making data on refinish times available. “We appreciate the leadership position that AudaExplore has taken to assist the industry in resolving the long-standing issue of arbitrarily reducing refinish times on repaired panels. This is more commonly referred to as blend within a panel or zone refinish,”ASA President Dan Risley said in a statement. 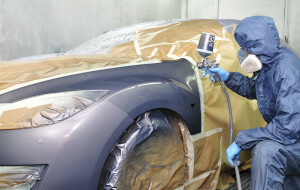 AudaExplore noted that “zone refinish” costs ranged all over the place — from a quarter of a full panel cost to more than two and a half times it, and it couldn’t offer a formula for them now.